Yesterday I had to get some work done. P watched 3 movies and who knows how many TV shows. I don’t like using TV as a form of baby sitting. It was an exception, the work was needed for a community project but I hope to never do it again. 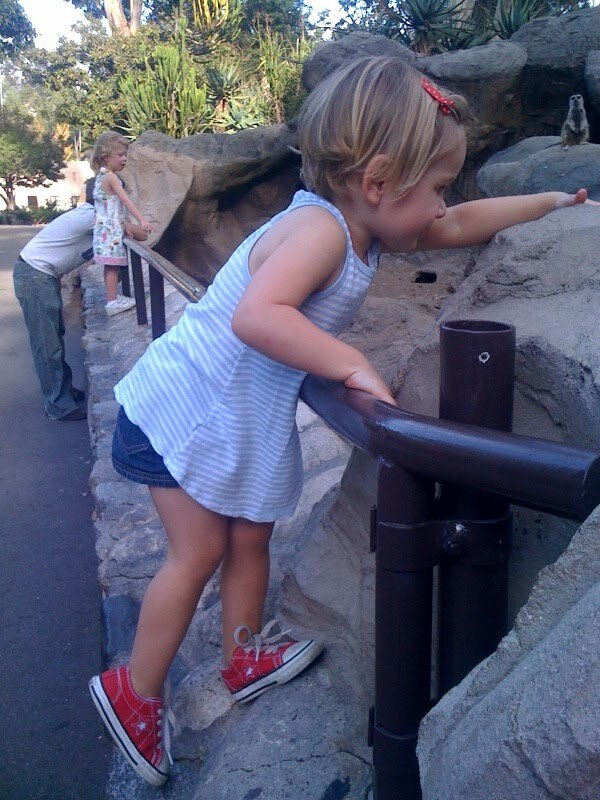 To counteract yesterday’s sedentary life we went to the LA Zoo after a quick visit with Pappa on set in Pasadena. As always, the zoo was great. Lots of walking, lots of learning. I’ve never been in the late afternoon. It was a perfect time. The animals were moving, getting ready for feeding time. Hippo was playing with two huge balls and splashing so hard we thought we were going to get wet. The monkeys were super-friendly and curious. As were we. 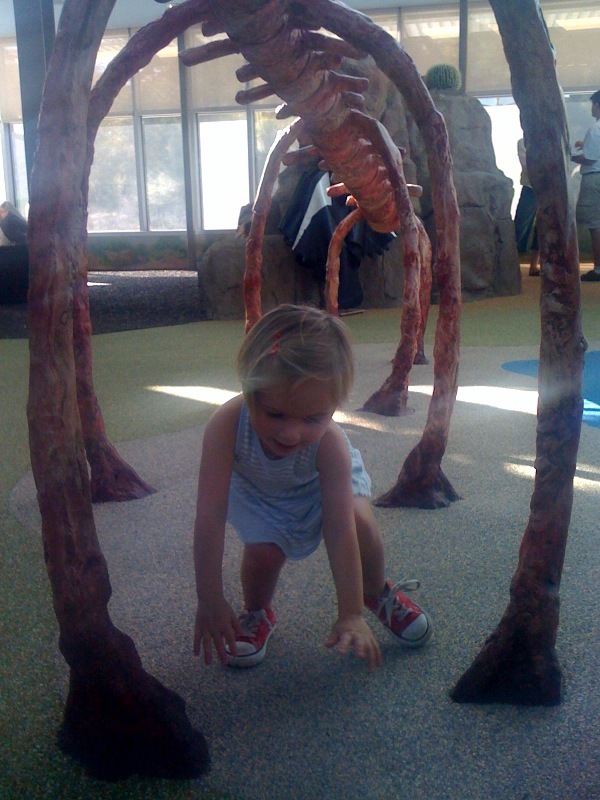 We visited the Children’s Discovery Center for the first time. They had fun activities. 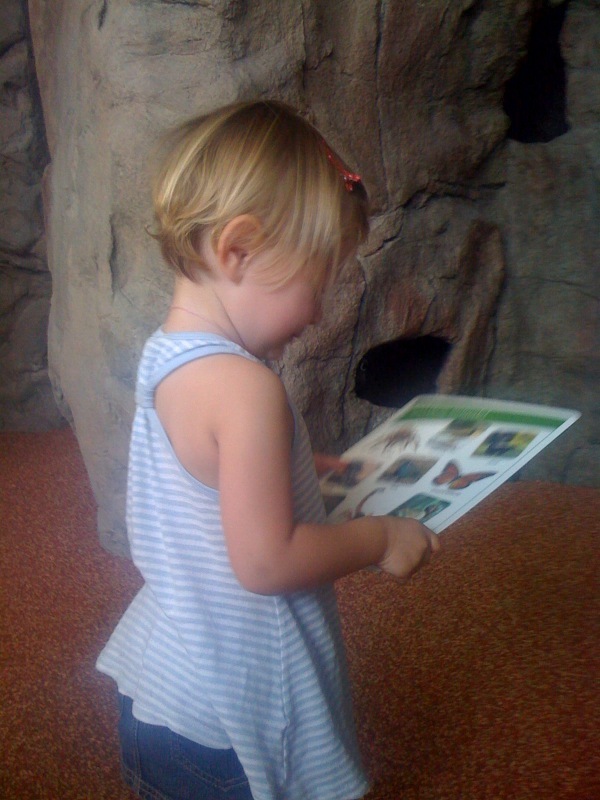 We were given a card with desert animals on it and P had to hunt them down throughout the room. She found them and was able to differentiate between two birds and she found all the creatures. I’m seeing a lot of development in her speech, dexterity and connecting relationships between things. She’s imitating as much as she can. I saw her imitating someone on TV on an iphone. She did and said what they said. It’s astounding! I guess TV isn’t THAT bad…in moderation. Next Next post: Mamma Said….